These posts/videos leave me green with envy at times and also reaching for one of my many notebooks to add yet another place I need to look into more. I've even become obsessed with following peoples travels around the world on snapchat, I love this new way of being able to explore a place without actually having to travel and spend the money to get there but it does leave me yearning to actually go myself. I have to admit I'm also guilty of 'bringing my friends along' with me on my travels, having been almost superglued to snapchat during my trips to Walt Disney World and Disneyland Paris last year. My travel bucket list is ever expanding but there are a few places listed on it that have been firm favourites at the top of the must do list and don't seem to be budging or being replaced, unless of course I get to tick them off which would be great. 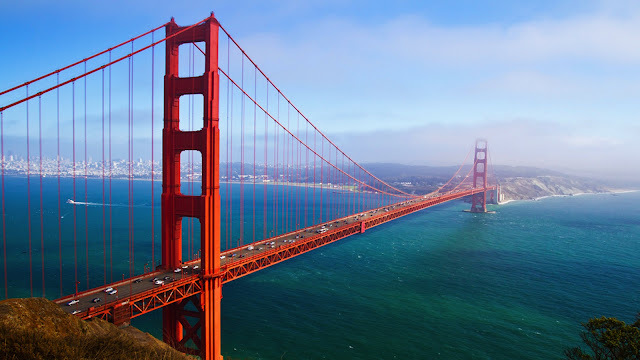 San Francisco - Cycling the Golden Gate bridge, visiting The Walt Disney family museum, Alcatraz, there are so many things I'd love to see and do in this gorgeous looking city. It's been on my list of 'must visit' places for years now and I still can't believe I haven't got round to it yet, one day I will. Nashville - Last year I really got into Country music and of course with that I took an interest in Nashville, I never noticed what a great place this seemed before but now I truly appreciate how amazing it seems and it's definitely took a place up the top of my travel bucket list. 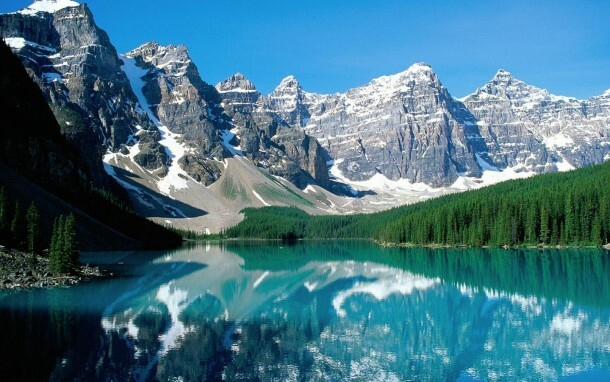 Banff/Rocky Mountains - If the picture above doesn't explain why I want to visit the Rocky Mountains then you need to take a look again, look how stunning it looks. There are actually a few places in Canada I'd like to visit but this is definitely top, I can't imagine just how beautiful it looks in person and having never seen anywhere like this I think it would truly take my breath away. I'd love to just hire a cabin & car and spend time exploring the national parks. Norway/Lapland - You know, one of those beautiful places thats full of snow and you can experience a husky sleigh ride, go on a snowmobile and most importantly see the Northern lights. It's been on my bucket list to see the northern lights for years now, I think its one of those things that needs to be experienced in life and you'd just stand there in amazement gazing at, lets hope this one might get achieved this year. 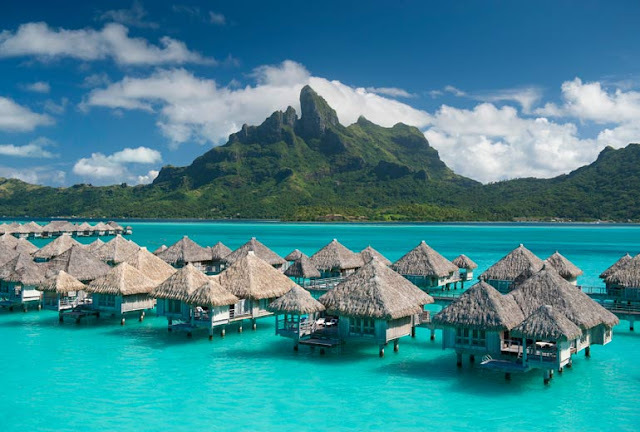 Bora Bora - Just get me in one of those water bungalows now, look at them, they look so perfect. Imagine spending a week in one of those, beautiful blue water at your feet, amazing scenery, just heaven on earth. Rome - I've wanted to travel to Italy for quite some time now and considering how close it is I don't know why I still haven't, there are quite a few places I'd love to visit there but for some reason Rome wins over all the others, I'd love to try the pizza, the ice cream, all the delicious Italian yummy food. I did actually have a trip to Rome booked in November 2014 but due to stuff going on in my life at the time I didn't get to go, hopefully the chance will come round again. There are plenty more places on my list but I don't want this being the longest blog post on record haha so I'll leave it at those wonderful looking places. 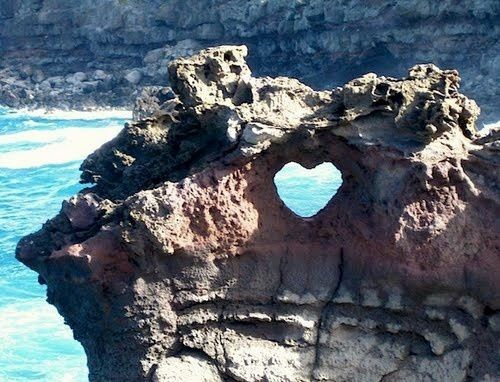 Do you have travel bucket list, where is the top of yours? It's so hard to just drag yourself away from Disney, spending money on visiting another place knowing it could go to a Disney trip where you know you'll love, non stop smiling and will feel magic. I would love to go to Nashville too! Ever since watching the tv series 'Nashville' :) I'd also like to go on a US west coast trip (LA, San Francisco, Vegas...) and to Tokyo one day too.